In a remote medieval outpost of Ireland, young Brendan embarks on a new life of adventure when a celebrated master illuminator arrives from foreign lands carrying a book brimming with secret wisdom and powers. 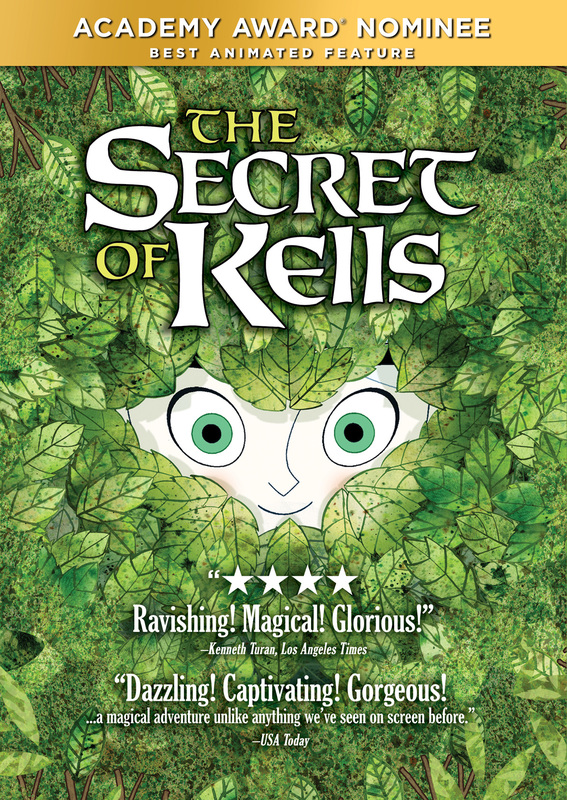 To help complete the magical book, Brendan has to overcome his deepest fears on a dangerous quest that takes him into the enchanted forest where mythical creatures hide. 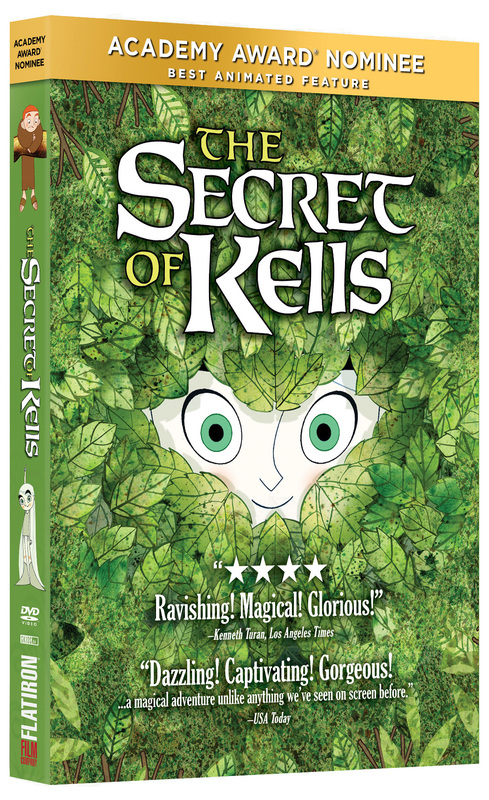 It is here that he meets the fairy Aisling, a mysterious young wolf-girl, who helps him along the way. But with the barbarians closing in, will Brendan’s determination and artistic vision illuminate the darkness and show that enlightenment is the best fortification against evil? "Four Stars! Ravishing! Magical! Glorious!" "Fanciful and captivating! Gorgeous and uplifting!" 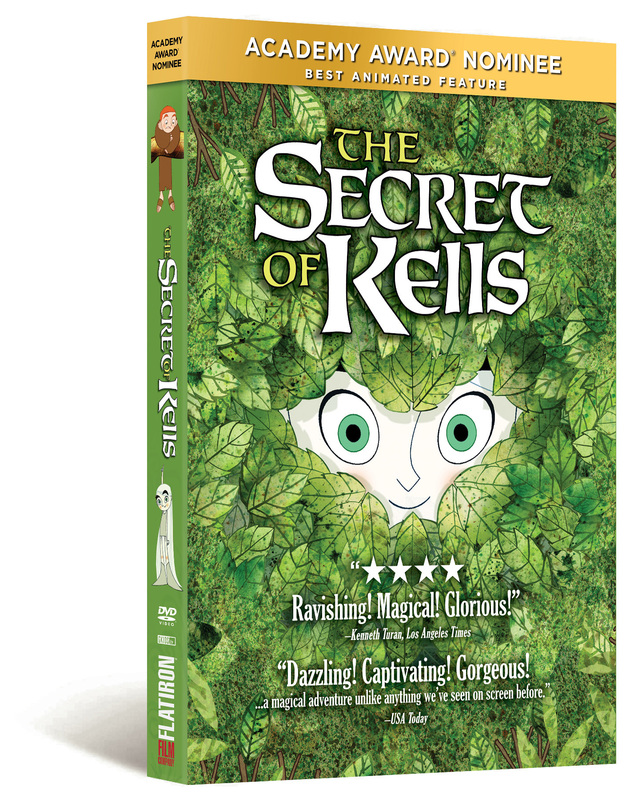 "The Secret of Kells discloses strange new vistas that nonetheless seem to have existed since ancient times." "Rapturous! Stunning! A riot of color!" "Unlike anything I have ever seen before!" "Pure Inspiration! One of the most beautiful works of animation ever!" "A haunting blend of history, fairy tale and pure invention!" animation fans and children alike." $29.95 DVD Single. On backorder. Will ship when available. $39.95 Blu-ray 2-pk SET. On backorder. Will ship when available.